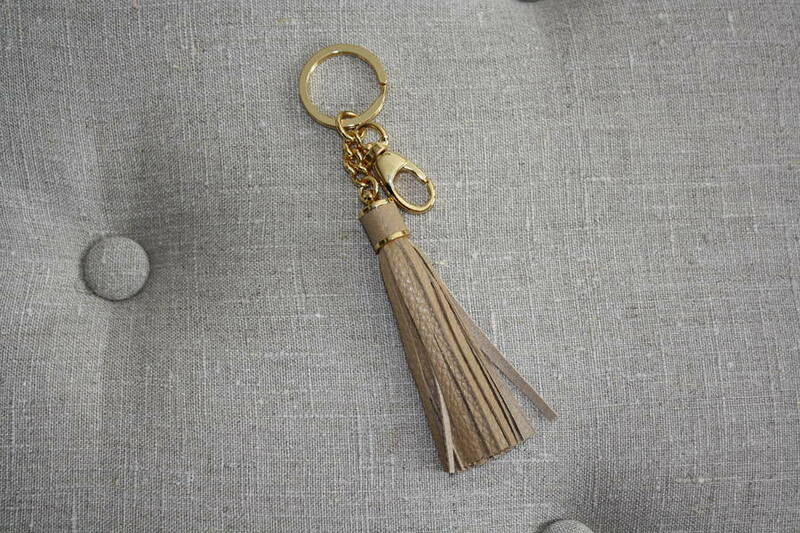 A beautiful handmade leather tassel key ring with gold fixings. 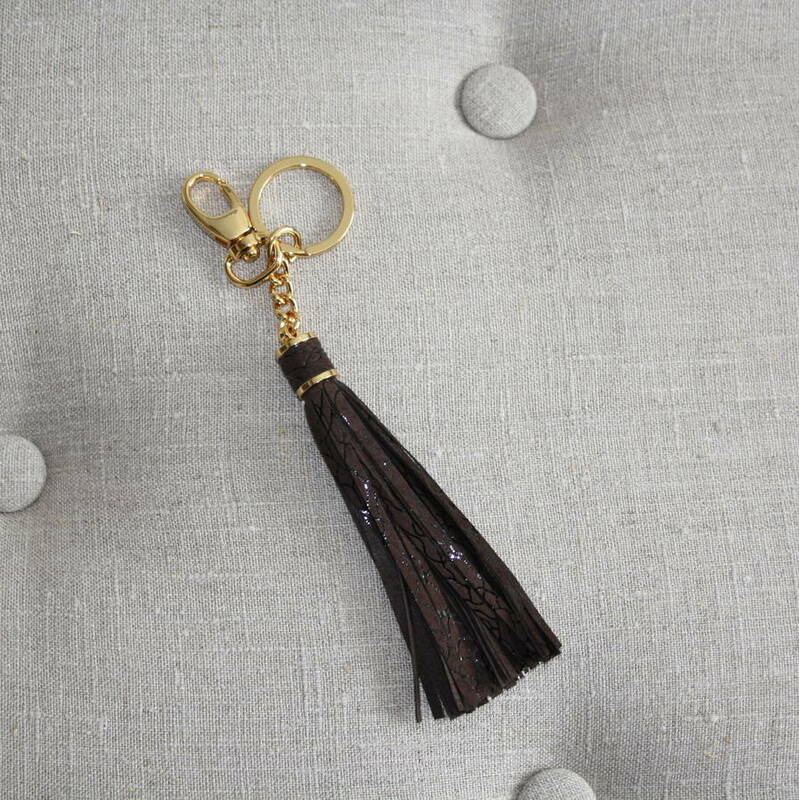 A perfect gift for any ladies.This handmade beautifully soft leather tassel key ring also makes a lovely handbag charm to give any handbags a personal touch. 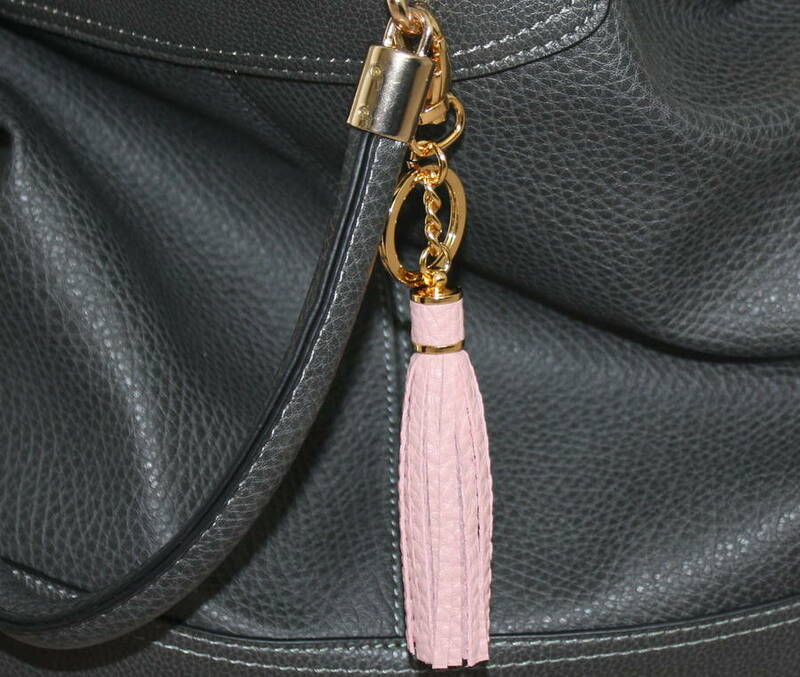 The leather tassel is wonderfully tactile and made from butter soft italian leather. 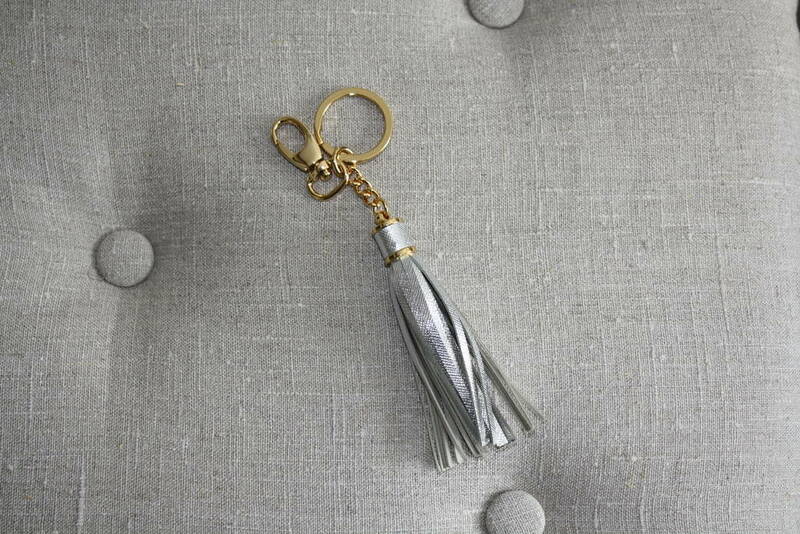 The fixings are in gold so adding a little extra sparkle to this item. 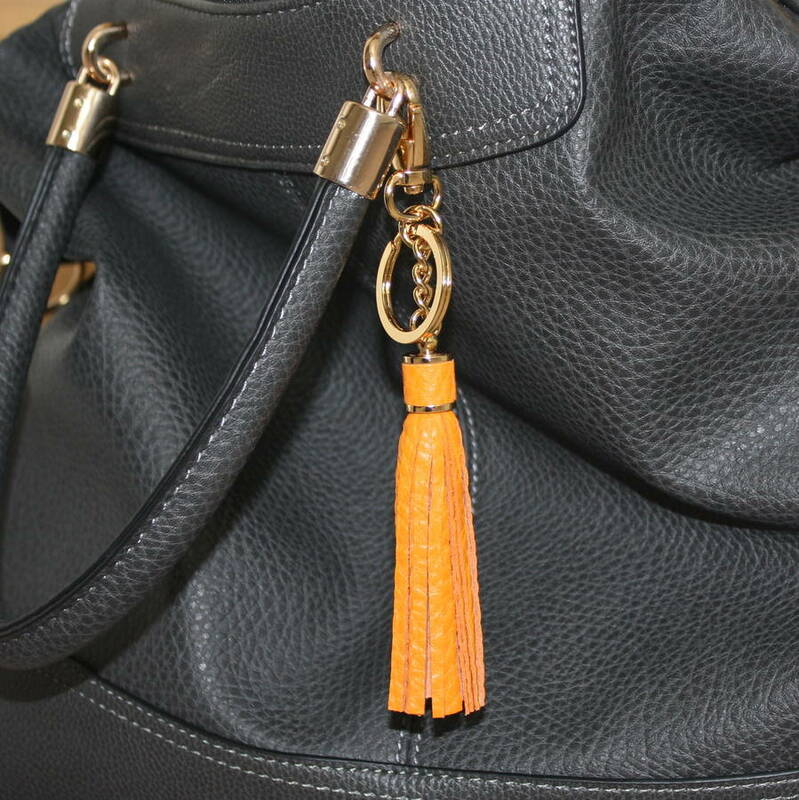 100% soft leather and brass fixings . Tassel is 9cm and total key ring length 15cm. This product is dispatched to you by Diddywear.